Another good example of this phenomenon happened in December 2014 in a trial in San Antonio, Texas. The case, Crisp v. McDonald’s Corp., involved the attack of two McDonald’s customers by a mob of 15-20 men on the premises. The jury allocated 97% of fault to McDonald’s, and much like the Six Flags case in Georgia, apportioned only 2% of fault to one known attacker and the remaining 1% to John Doe attackers who were never identified. The jury’s verdict was for $27 Million and McDonald’s had to pay 97% of $27 Million. Then, just this week in Fulton County State Court, a jury apportioned 0% fault to the criminal perpetrator and found a medical practice 100% at fault and liable for the plaintiff’s injuries. The Fulton County jury decided that a dental clinic must pay $3.7 million to a young woman who was sexually molested and sodomized by a nurse anesthetist at the clinic in 2009. The nurse is serving life in prison and was not a defendant in the suit. The jury did not apportion any blame to him, instead holding the dental practice 100 percent liable for the assault. In a last ditch effort to avoid 100% of the liability bill, defense counsel, in what has to be described as a “Hail Mary,” argued to the Court there had to be some blame cast on the criminal perpetrator. But this begs the question: just because a jury can apportion does it mean it has to? And if the jury decides not to apportion fault, as it did in the Fulton County case this week, what happens? There is no apportionment unless and until a jury says there is. So just because a defendant tries to blame anyone and everyone else for their own negligent conduct doesn’t mean a jury will always buy it. 4. Disfavoring of settlements. 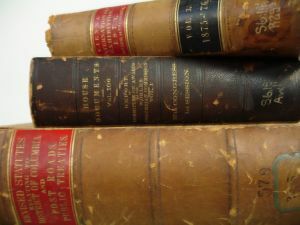 If a plaintiff settles with one defendant, the remaining defendant(s) can insist the settling defendant’s name be placed on the verdict form for the jury to apportion fault. Why would a plaintiff ever agree to settle with one defendant now before trial when that defendant’s name is still going to be on the verdict form? Better to let the jury decide how much they should pay. Regarding apportionment, we’ve only just begun, Folks. Stay tuned.